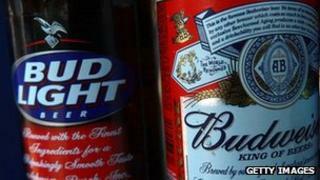 Beer drinkers in the US have filed a $5m (£3.3m) lawsuit accusing Anheuser-Busch of watering down its beer. The lawsuits, filed in Pennsylvania, California and other states, claim consumers have been cheated out of the alcohol content stated on beer labels. The suit involves 10 Anheuser-Busch beers including Budweiser and Michelob. Anheuser-Busch InBev have called the claims "completely false", and said in a statement "our beers are in full compliance with labelling laws". The lawsuits are based on information from former employees at breweries owned by the multinational. The complaint claimed that "Anheuser-Busch employs some of most sophisticated process control technology in the world to precisely monitor the alcohol content at the final stages of production, and then adds additional water to produce beers with significantly lower alcohol contents than is represented on the the labels". The lawsuit alleged that the practice began after the American Anheuser-Busch merged with the Belgian-Brazilian InBev in 2008, to form the world's largest alcohol producer. "Following the merger, [Anheuser-Busch] vigorously accelerated the deceptive practices, sacrificing the quality products once produced by Anheuser-Busch in order to reduce costs," the lawsuit said. Peter Kraemer, vice president of brewing and supply at Anheuser-Busch said in a statement, "We proudly adhere to the highest standards in brewing our beer."